The PCS facility in Lima, Ohio was under staffed and looking for a project manager to step in and take over several projects to meet their department goals. PCS enlisted the help of SSOE to develop and execute a number of projects during their busy construction season. The work was intended to be temporary but the contract was repeatedly extended because of the client’s satisfaction with SSOE’s delivered results. SSOE was initially responsible for two projects. The first was to install two chemical truck loading scales and the relocation of eight chemical lines. The replacement of the scales was safety driven, due to significant corrosion of the scale pits, lack of adequate fall protection, and inadequate process controls. 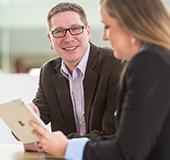 SSOE oversaw the consulting firm that developed a FEL 1 grade estimate. In order to find the best solution, the SSOE team created an electronic 3D model of the scale site to be able to foresee any maneuverability issues the trucks might have. 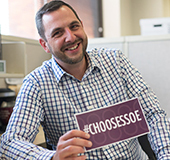 SSOE was able to adjust plans early in the process to produce optimal results. 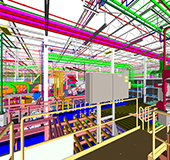 SSOE specified piping material, determined tie points, specified scale size and location, reconfigured truck routing, and developed the AFE grade estimate for this portion of the project. The second project consisted of installing an ammonia suppression system. This entailed designing a system to knock down ammonia vapors with water in the event of a leak. SSOE determined spray location, specified piping spray nozzle material, sized lines and spray nozzles, developed bid packages, and managed electrical power design, process control design, and construction activities. After proving performance on the first two jobs, SSOE was hired to complete multiple maintenance projects. Vibration issues and discontinued replacement parts led to the need for replacement of an induced draft fan turbine. SSOE oversaw the civil design firm, developed the scope of work and bid packages, and developed a schedule for minimum down time. Another project consisted of the installation of a heat exchanger. The previous unit was overheating and was producing calcium, so a new unit was installed upstream of an existing intercooler which lowered the air temperature and prevent fouling. The most recent assignment was to replace the scale house building since the previous building was small and in toxic and blast zones. 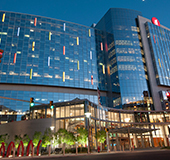 SSOE designed the building size, layout, and location, specified blast and toxic requirements oversaw the electrical and controls upgrade, and developed estimate and AFE.